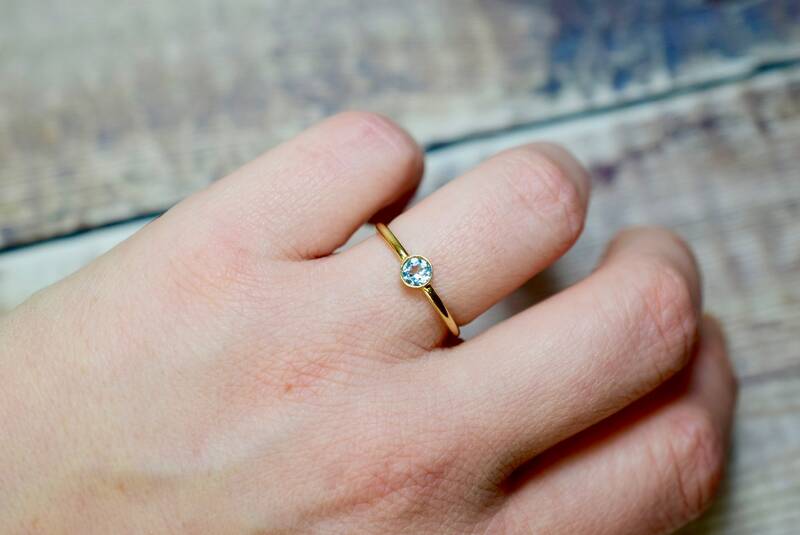 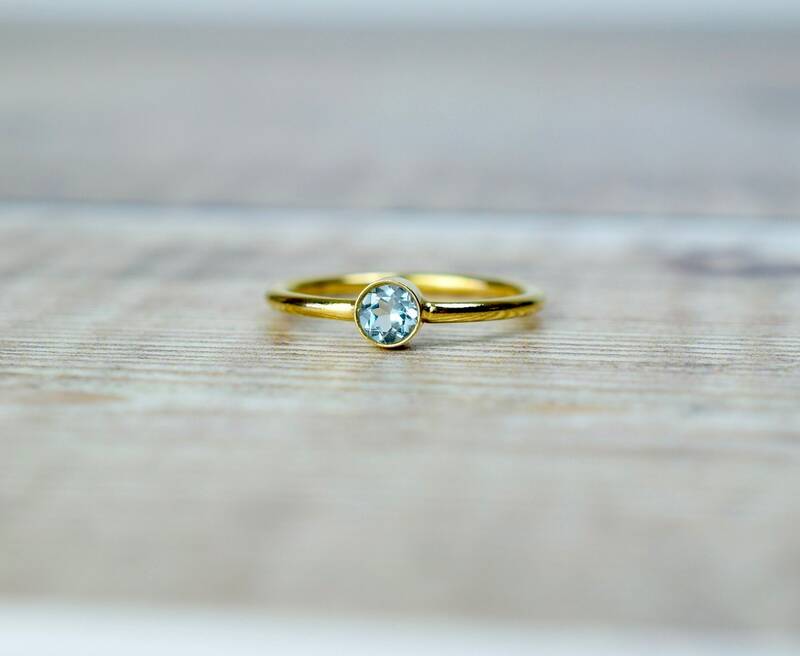 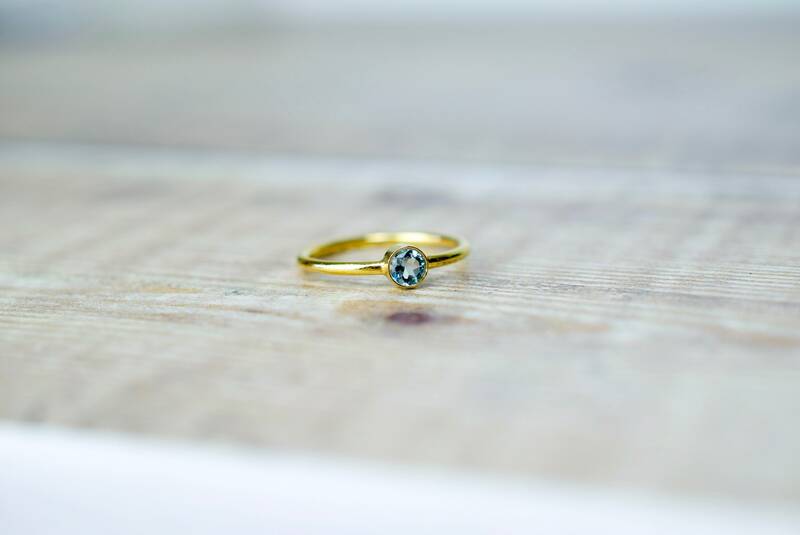 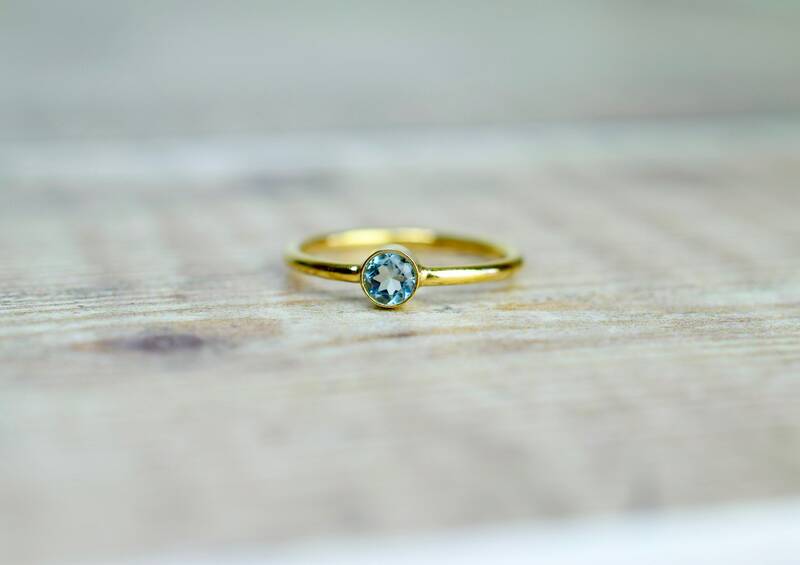 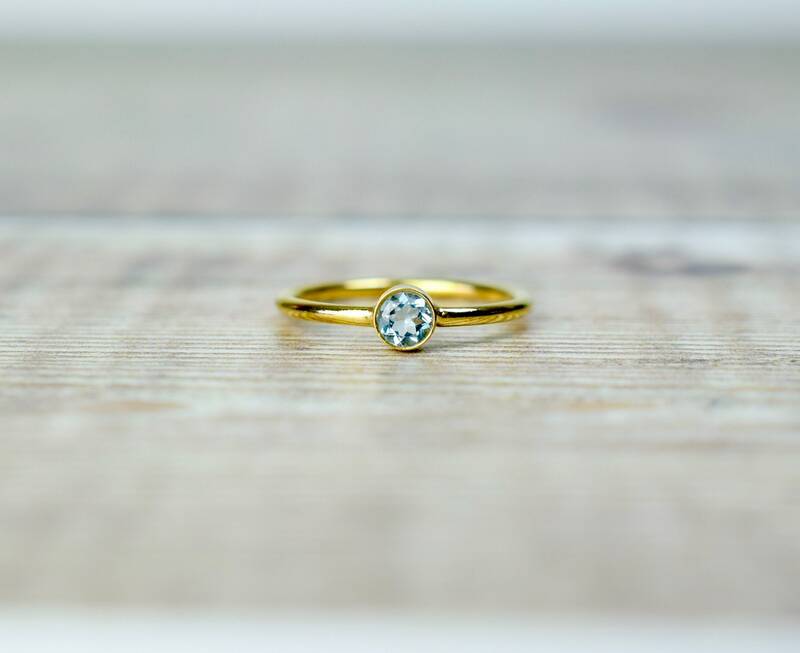 This sparkly Aquamarine ring is made from 14k gold fill and is set with a 4mm AAA quality Aquamarine gemstone in a beautiful shade of sky blue. 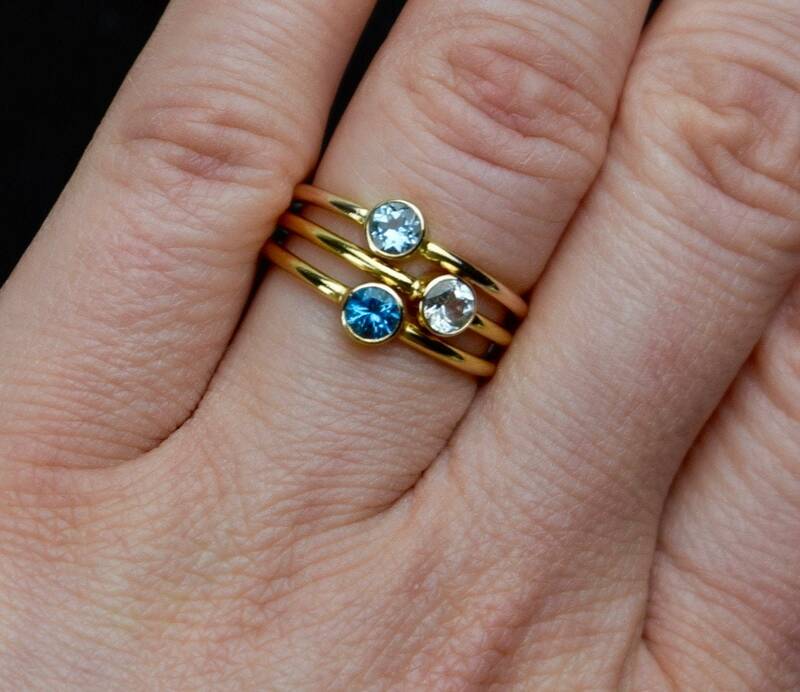 This ring looks beautiful when worn alone and when stacked with other rings. 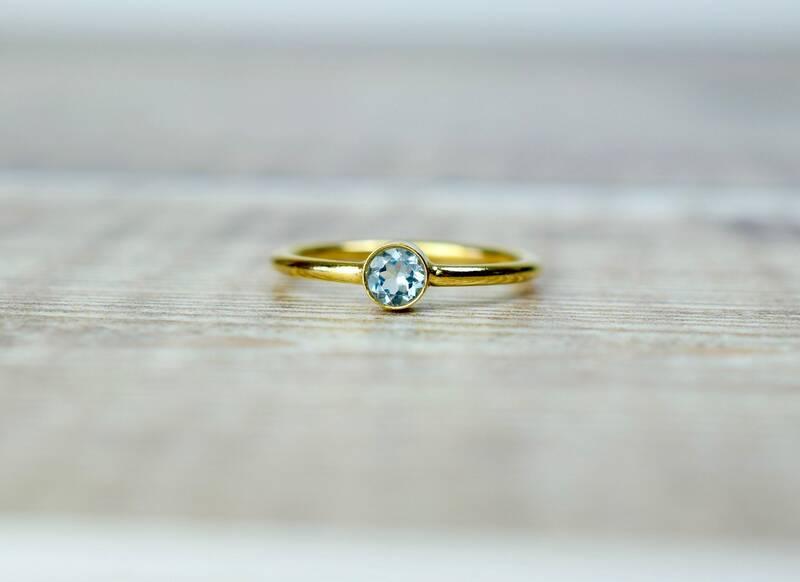 This ring has been hand set by me using traditional stone setting techniques.